Progressive web app (PWA) uses modern web application capabilities to deliver an app-like user experience. These kind of apps don’t require any complex installation to setup and they work like a charm in offline and relatively lesser connection speed. But PWA is still just a website. It will be an app based on the user choice. So if a user goes to the website, he will be prompted to add the website to the home screen. If he wants to click on ok then it will create a shortcut on the home page which can be used later on as an app, if not, the website is still reachable through the browser. How Google Defines PWA, why we need it? Reliable – The app load instantly and never show the down sour, even in uncertain network conditions. Aka: work offline. Even Google found, most of the users leave websites if the page takes more than 3 seconds to load. Fast – This app responds quickly to user interactions with silky smooth animations, jank-free scrolling and seamless navigation. Highly engageable – Feel like a natural app on the device, with an immersive user experience. Multiple third-party plugins are available in the market which made easy to convert Magento commerce platform as a PWA. Apart from this, Magento has been partnering and making sure that it is moving closer to the PWA. Magento by own has launched a PWA studio allowing the website owners to build a PWA application. Configure the PWA plugin by adding application name, icon, theme color, splash screen color etc. App Like Experience Unlike Responsive Web – PWA caches static content allowing the user to access the website offline and provide an App like experience which will enhance the customer experience when the website is offline or user is on slow connectivity. Cost Effective: Since the development of App involves a lot of capital set up, most of the small and medium scale stores still don’t have an exclusive app for those the PWA will be a great alternative as this is cost effective and requires almost negligible as most of the Magento customers are small and medium scale enterprises. Quick Setup and Load: The PWA’s are really quick to set up and requires only a decent amount of the development and since the PWA caches the content it is really quick to load in slow connectivity as well. Increase in Conversion: Since the PWA refresh the static content in the background whenever the network is available it will serve the content mostly updated and also the user can add the products to cart easily and has an ease of checking out at his wish when the network is available and this unique offline experience has seen a notable jump in the conversion rate across the websites. OLX a global online marketplace, operating in 45 countries and is the largest online classified ads company in Brazil, India, Bulgaria, Pakistan, Poland, Romania, Portugal and Ukraine boosted re-engagement on the mobile web by 250% with a Progressive Web App. MakeMyTrip is India’s leading travel company, Mobile has emerged as the preferred booking medium for MakeMyTrip customers, accounting for over two-thirds of the site’s traffic. After launching a Progressive Web App (PWA), their conversion rate on the mobile web tripled, while their page-load speed improved by 38%. Voot.com an entertainment streaming app launched their media Progressive Web App in India. Within days of implementation, session time per user increased by 39% and daily views per user by 15%. Reduction in Bounce Rate: PWA works like charm even in slow connectivity this is the reason there was also a reduction in the Bounce rate for the sites which have implemented PWA. Housing.com another popular Indian app catering to real estate industry claims that their bounce rate reduced as much as near to 40% after the PWA has been implemented. Exponential Growth in Sales: With this unique experience provided by PWA’s the sites have also seen an exponential growth in their sales. The percentage of the repeat customers have also seen a drastic increase by the companies using PWA. In this world of E-commerce, the sustainability of the sites have largely dependent on how soon they can capitalize and accustom to the future of the e-commerce trends and technologies and among this, the PWA has become a key weapon for the websites to increase their sales numbers. If you haven’t converted your site to PWA it is high time to implement it to sustain in the race of the e-commerce. Here at Sigma, we have a dedicated Magento team who has comprehensive experience & knowledge on working of PWA’s and implementation of the PWA’s for your Magento Webstore. Please don’t hesitate in letting us know any queries you may have in the comment’s section below. Also, we would love to know your experience working on or implementing a PWA. This is a very useful and informative blog. 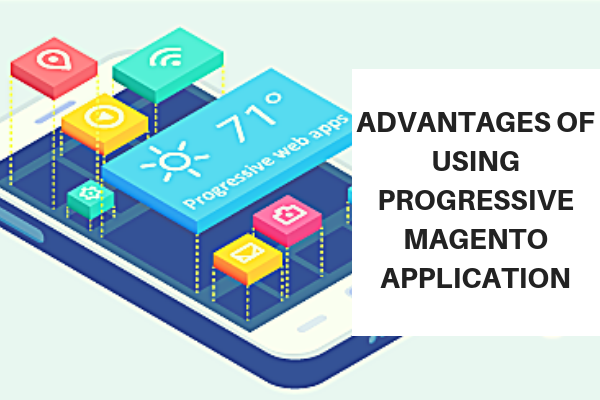 Explaining the Progressive Magento Application and its advantages. Thanks for sharing this.